Ensure that project implementation is following the original plan or in accordance with the changes made and communicated during the course of the project implementation. Oversee the play lab project budget, grants requirements and expenditures to ensure their alignment with the required standards and norms. Conduct training to partner including parents, communities, government officials and duty bearers on child protection and Early Childhood Development (ECD). Ensure effective advocacy with local authorities at district and regional level, ensure that they are embedded in program delivery. Ensuring Child Protection Committees at play lab centers are fully functional. Ensuring all project team and relevant others, including play lab leaders, parents and project stakeholders are aware and have access to child protection policy, contents and their responsibilities it places on it. Degree/Masters or Postgraduate specialization in relevant field preferable in Early Childhood Care and Development, Education Management, Sociology, Social Work, Development Studies and Community Development. At-least 2-3 years’ practical experience working with NGOs, Education, Early Childhood, child protection or related programs. Teaching experience in early years will be an added advantage. 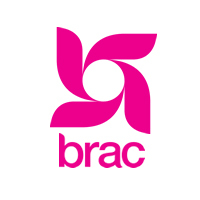 or through email to recruitment.tanzania@brac.net with a subject “Project Manager"